The All Green Smoothie is one of my favorite Vitamix recipes. It’s easy to make and as with most green smoothies, it’s healthy. Spinach and avocado are known to be great foods for heart health. Spinach has a very mild taste so it does not take over the smoothie. Pineapple juice adds the right amount of sweetness for a perfect blend of health and taste. Place all of the ingredients into the container in the order they are listed. 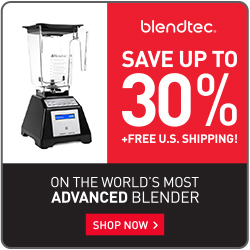 Prev:Welcome to Blend to the End!